Trachten Shoes 6081 in Havana. Make sure you step out in style wherever the day takes you when you slip into these classic men’s Havana shoes. Both the exterior and lining of the shoes are made from 100% leather to make them very durable, while the synthetic soles are sure to put a spring in your step. 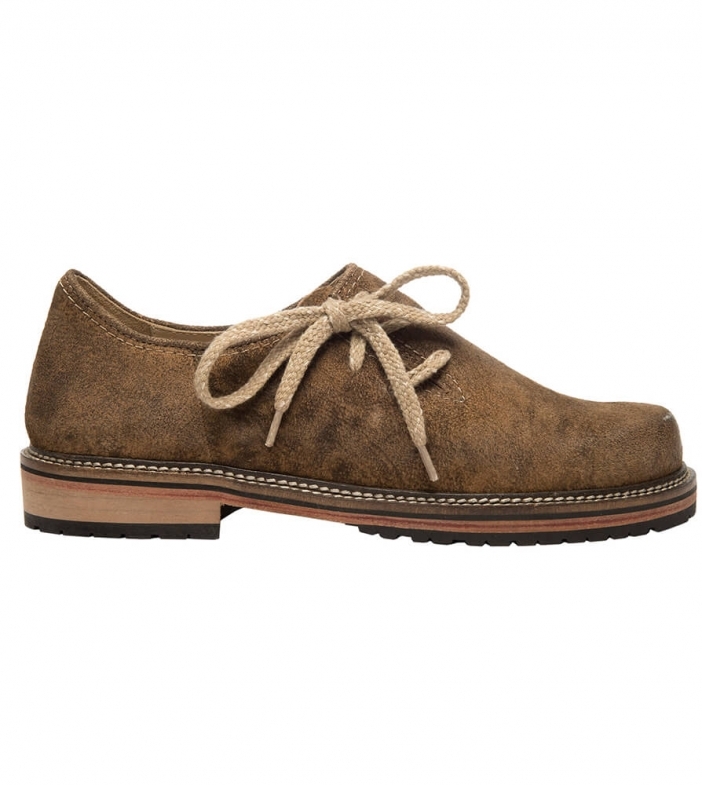 The soles and slight heels feature a tricolour design that is very striking and is matched by the fawn laces. However, the classic design of the shoes is given a quirky touch by the side lacing, which is both very appealing and fashionable. Ich denke, ich werde hier noch einige Sachen einkaufen. Ansonsten - siehe oben. Ich bin rundherum zufrieden. Guter Preis, gute Qualität, gute Passform. Sehr gut verarbeiteter Schuh und sehr bequem. Toller Schuh, der sein Geld wert ist! Klare kaufempfehlung!